Always good to have James and his gang fish with us. We picked them up right down the river at Sloop Creek Lodge’s dock where they rented the weekend. It was a perfect day on the Bay! The Spanish mackerel fishing was on, the blues bit okay, but the croakers were hard to find. That evening they enjoyed their fresh catch along with 100 FAT ‘N HAPPY oysters from our aquaculture business! We thoroughly enjoyed not only fishing with these guys but also visiting and sharing stories! Thanks so much James…look forward to seeing you and your group next time. Thanks Jennifer for bringing your gang to fish with us. 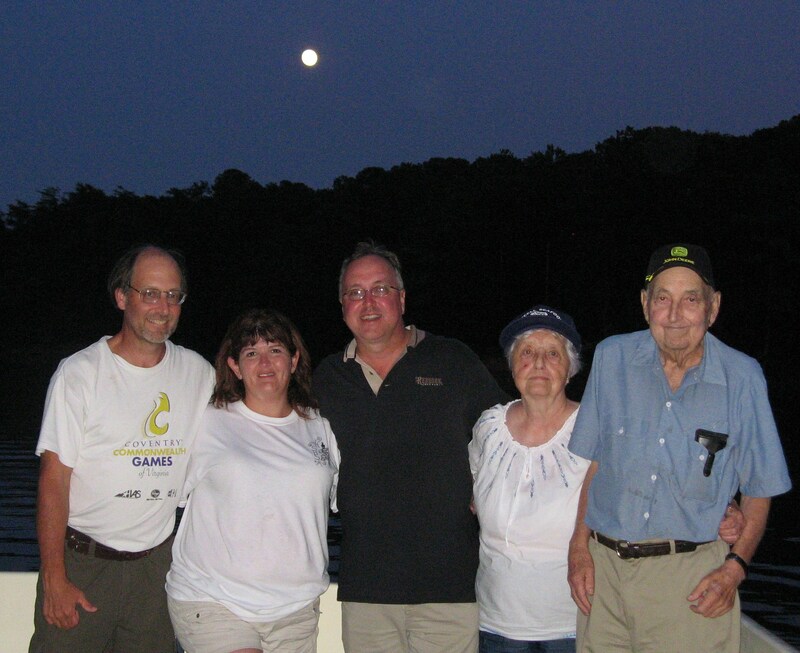 It was especially good to see your dad Bill, who fished with me some 30 years ago! We got into the bluefish and had a great catch of 50. And so glad you and Ben enjoyed our FAT ‘N HAPPY OYSTER COMPANY oysters – fish and oysters…quite a feast. So sorry I neglected to catch a picture – next time for sure! Certainly appreciate your business! 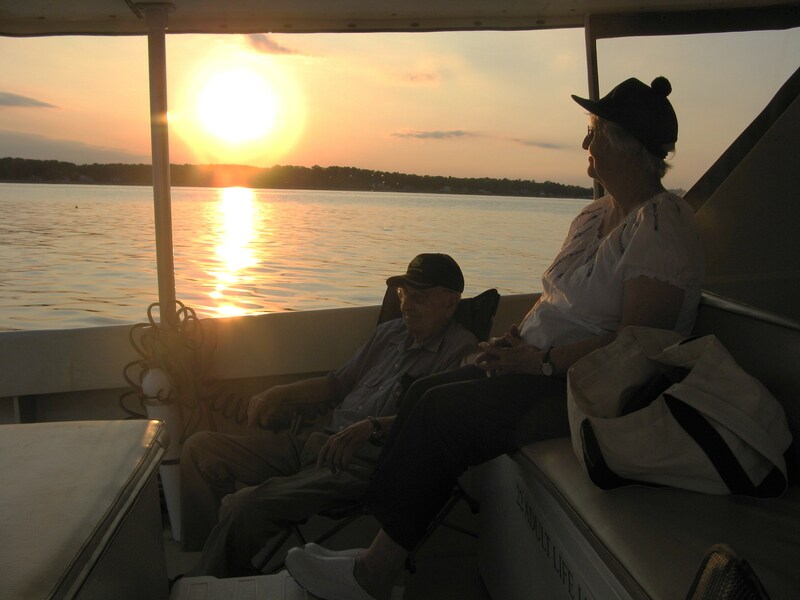 This Saturday afternoon with had the pleasure of taking Steve, Sara, Glenn, Alice, and Morris on a wonderful cruise. 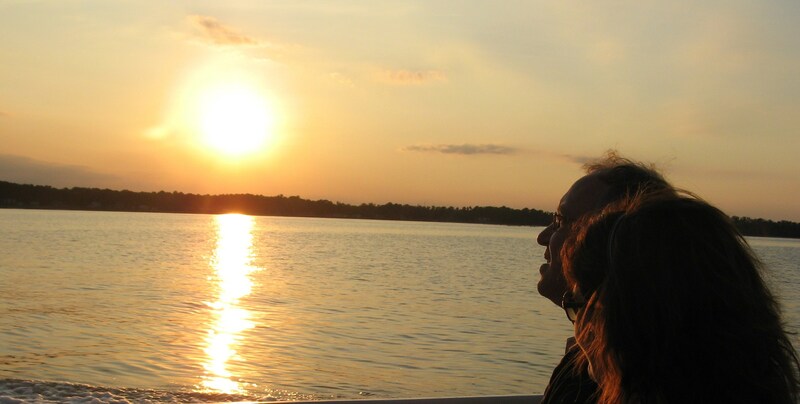 The waters of the Little Wicomico River, Chesapeake Bay, and Great Wicomico were smooth as glass. We docked at the Crazy Crab in Reedville for a delicious dinner. On the trip home, we were treated to a gorgeous sunset and an incredible full moon. 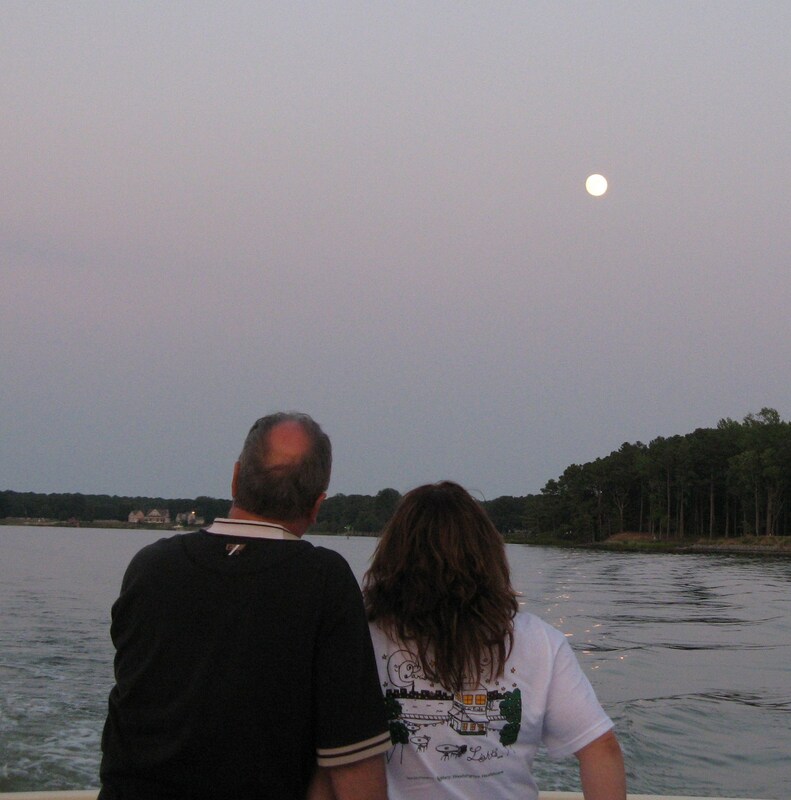 No better place to make memories than on the water! Thanks Fallin’s…we do appreciate your business! Always a pleasure to have Ric fish with us! 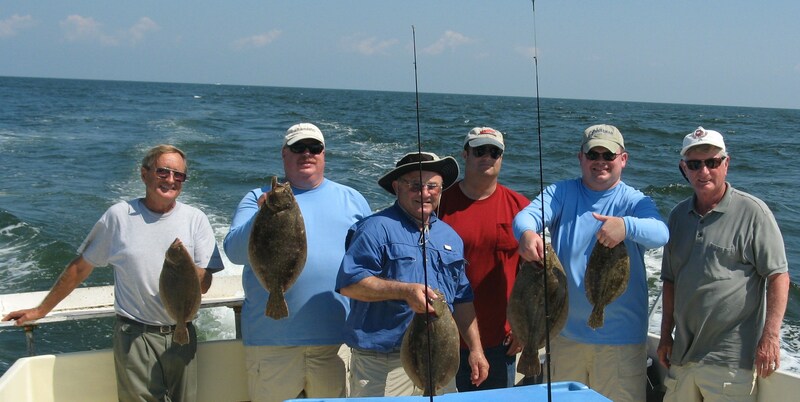 He always brings a great group of anglers and this day proved to be a winner with this nice catch of flounder. Well done gentlemen – appreciate your business!